The Target Saver: Cross County Cafe- Wacky Wednesday K-Cup Sale! Cross County Cafe- Wacky Wednesday K-Cup Sale! Wacky Wednesday Weekly Coffee Sale! Every Wednesday we will post a totally wacky sale price on a variety of coffees including Keurig Kcups and Nespresso compatible capsules. Dont forget shipping is free when you spend $59. or more! 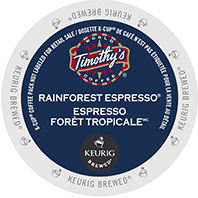 Featuring the ever popular Timothy's Rainforest Espresso Keurig Kcup coffee for $11.99 per box of 24! 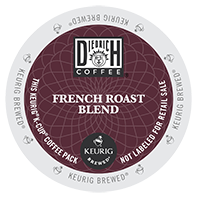 And for a crazy value Diedrich French Roast Keurig Kcup coffee is on sale for $9.99 per box of 24! For the Keurig 2.0 Kcarafe users, Green Mountain French Vanilla Kcarafe coffee is on sale for $11.99 per box of 10! 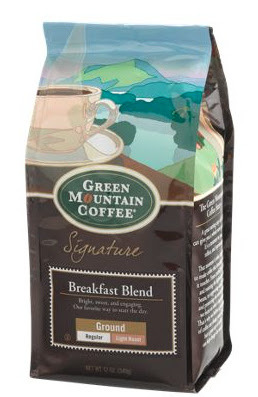 Last but not least Green Mountain Breakfast Blend ground coffee is on sale for $8.25 per 12 oz bag! Sale runs Wednesday 7/27/16 through Tuesday 8/2/16 at midnight EDT.